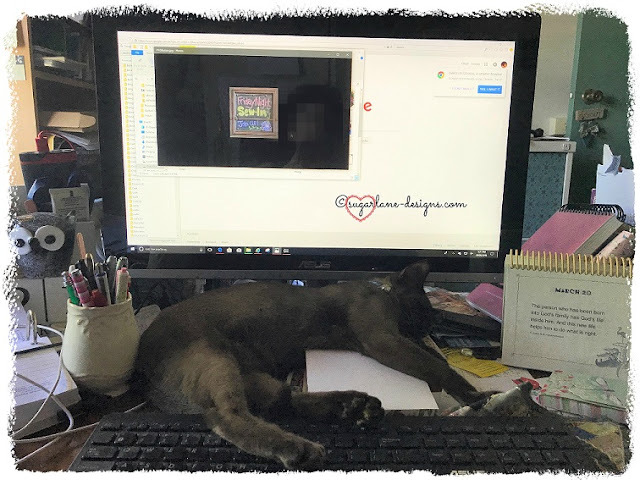 Sugarlane Designs: My sleepy FNSI helper helped me with sign-ups today! I will join! And your cats are sooooo cute! Milo looks like a sweetie! 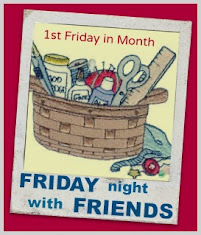 It's been a while since I've been able to join in on a Friday - I am looking forward to it! Nothing like a supervisor of the feline variety. Mine will be er, supervising Friday night. I randomly came across FNSI. I used to participate with Bobbi and Heidi. I didn't know that it was revived. I'm excited to give it a try this Friday night. Hopefully nothing gets in my way to join in! Hi Wendy - glad to see you have internet again - I'm lost without mine when it happens - which is rare, thank god! I'm definitely joining in.... just a few stitcheries remain to be done in my SAL... thank you for having us! It works for me that the night was delayed :-) It's funny this relationship we have with the internet isn't it - I too would miss my bloggy friends without it! Milo is beautiful - lovely how they love to be inon the action isn't it?! Your fur baby is beautiful, it's always fun having two of them. cats pick the strangest places to plonk themselves! !